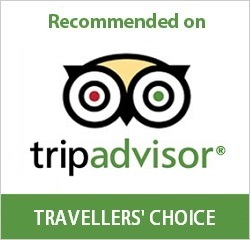 Vietnamvisatour.com responds to any of your issues and provides useful relevant information to Vietnam Visa On Arrival service to assist with your Vietnam visa procedures. If you have any additional enquiries apart from the listed issues, please contact us for quickest assistance. “Vietnam Visa Approval Letter” is a document to be issued by Vietnam Immigration Department (Vietnam Ministry of Public Security). This letter have function as an official permission to allow a foreigner who own it (their information shown on it) to board the flight to Vietnam and get actual visa onto their passport at Vietnam International airports. 2. HOW MANY KIND OF VIETNAM VISA? 3. WHAT IS THE DIFFERENT BETWEEN A BUSINESS VISA AND A TOURIST VISA? Tourist visa: Issued to foreigner for tourism purposes and visiting relatives in Vietnam. Tourist visas are not valid for foreign citizens to work and live in Vietnam, tourist visa with a minimum duration of 1 month and a maximum period of 3 months. 4. WHAT IS THE DIFFERENT BETWEEN A SINGLE ENTRY VISA AND A MULTIPLE ENTRY VISA? With Single entry visa, you just are permitted to entry Vietnam ONCE during your visa validity. If you would like to re-entry, you must to have multiple entry visa or you must exit and then making new visa approval letter. And with multiple visa, you can entry and exit Vietnam many time whenever you like during your visa validity. 5. WHO NEED AND WHO DO NOT NEED VISA TO VIETNAM? All visitors to Vietnam must obtain Vietnam visa unless they come from one of the below visa exemption countries. With French citizens, Chile citizens hold diplomatic passports or official passports valid Vietnam Visa Exemption and entry Vietnam one time or many time with total duration of residence time in Vietnam less than 90 days within 6 months from the date of first arrival. APEC Business Travel Card (ABTC) holder economies can visit Vietnam for less than 60 days. 6. WHAT INFORMATION DO I NEED TO PROVIDE WHEN I APPLY VIETNAM VISA APPROVAL LETTER? 7. HOW LONG TO GET VIETANM VISA APPROVAL LETTER? In normal, when you finish your application and make payment, you will receive your visa approval letter through email after 1 working day (urgent 1 working day service); or 2 working days (normal service) and just after 4 hours (with supper urgent service). Please check Rush Service to know more information. 8. HOW MUCH DOES IT COST TO GET VIETNAM VISA? Service fee: This fee you pay directly for us to arrange visa approval letter for you. Please check Stamped fee at Vietnam airport to know more information. 9. CAN I USE VISA APPROVAL LETTER TO ENTRY VIETNAM BY BUS OR CRUISE? No, you can’t. With the visa approval letter you can just use when you entry Vietnam by plane. 10. WHAT VIETNAM INTERNATIONAL AIRPORT CAN I USE VISA APPROVAL LETTER TO ENTRY VIETNAM? 11. CAN I ENTRY VIETNAM EARLIER THAN MY GRANTED ARRIVAL DATE ON MY VISA APPROVAL LETTER? You just can entry Vietnam on or after the date arrival which shown on your visa approval letter. But you must exit Vietnam on or before the date arrival on your visa. 12. MY PASSPORT IS NEARLY EXPIRED, HOW CAN I APPLY VIETNAM VISA? We are so sorry, you can’t apply Vietnam visa when your passport is nearly expired. Because following Vietnam Immigration Department’s rule, all visitors must hold a passport valid at least for 6 months from the date arrival. In this case, you should to make new passport if you like to get Vietnam visa. 13. 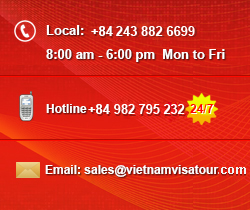 HOW DO VIETNAMESE OVERSEA APPLY VIETNAM VISA? Beside in that, for saving time, you can check our site to apply visa approval letter online. It’s so easy.